At Diamond Garden Care we are here to look after all aspects of your garden, not just the bits that grow! And a lick of paint can sometimes be all it takes to give a garden a perfect finishing touch. Our gloriously unpredictable British weather takes its toll on fencing; heavy storms and high winds can do untold damage to fencing over years - or sometimes even overnight. replacing rotted, broken or damaged sections or posts. We can treat and/or repair your fence at any time of year, but the autumn and winter months are actually ideal for this type of work; plants will have died back, so we'll have easier access to the fence and there will be less likelihood of damaging plants and shrubs. Screening is perfect if you want to create separate areas within your garden or to hide compost or rubbish bins. The addition of trellising to a fence creates a distinct focal point and is great for encouraging climbers such as honeysuckle or climbing roses. We'll work with you to find what's best for your requirements and then install it. 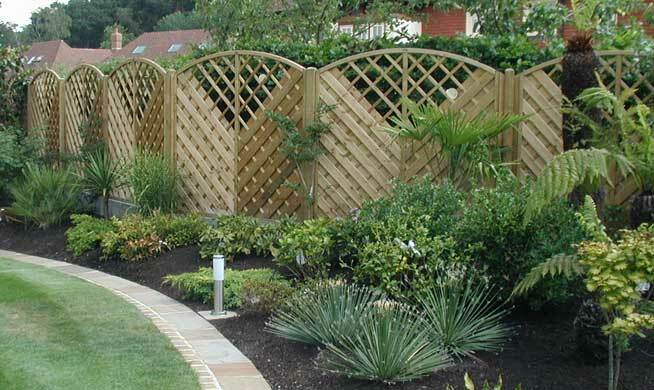 For any fencing repairs and maintenance or if you want to install screening or trellising, contact your local Diamond Garden Care team. We'll arrange a visit and provide a FREE no-obligation quote.